Additional Info: n the main bathroom there is a shower and toilet and an on suite in the main bedroom, travel cot, high chair and pressure safety gate for caravan door available, kitchen cupboard doors have child safety catches fitted, 24 hour on site security guard, no commercial vehicles allowed. Reception opening hours are 9.00 am until 6.00pm open 7 days per week. Only two small well behaved dogs allowed(we need to know what breed), prices are per week, 7 night breaks start Friday or Monday, 4 night breaks start Monday, 3 night breaks start Friday, contact us for short break prices. 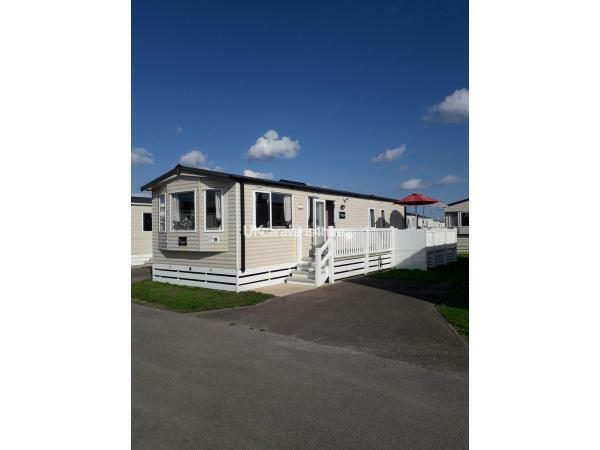 Our lovely child and pet friendly holiday home is a gold caravan set on a 5 star park run by Park Holidays with 1st class facilities, which has private access to the beach. Beds will be made up prior to your arrival, so no need to bring bedding but bring your own towels. 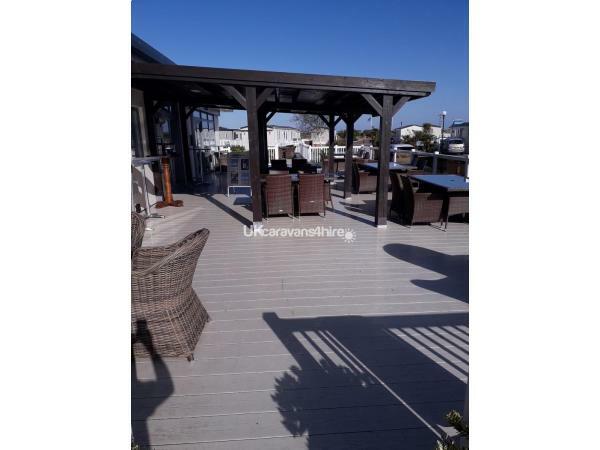 Access to the beach is directly from the park, two minutes walk from the caravan. Pevensey bay village approx. 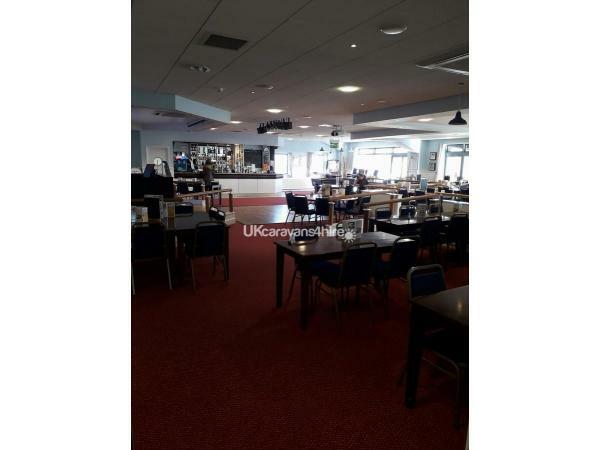 one mile away, fish and chips , takeaway's, café, pubs and convenience store, The crumbles retail park approx. 1 mile with large supermarket, cinema etc. Also local to sovereign harbour with restaurants etc. Lots of attractions nearby. Bus stop outside main gate. Friday to Friday or Monday to Monday or Friday to Monday or Monday to Friday bookings only, unless agreed by us. Adventue parks - Knock hatch/Drusilla's etc. 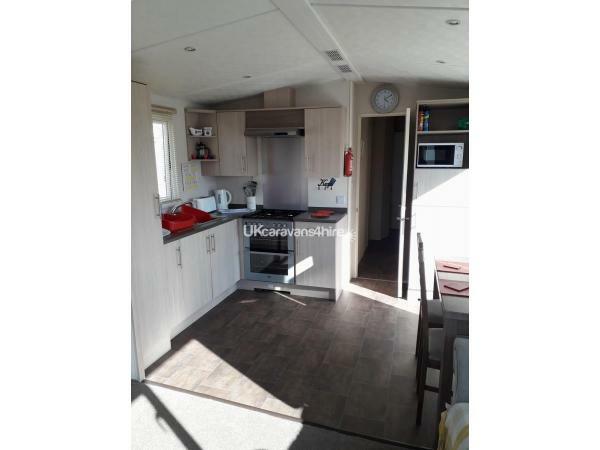 I fully recommend this caravan and also the site. Firstly the caravan owners were genuinly friendly and helpful and went above and beyond to ensure everything was in order for us. The caravan itself was clearly well looked after. 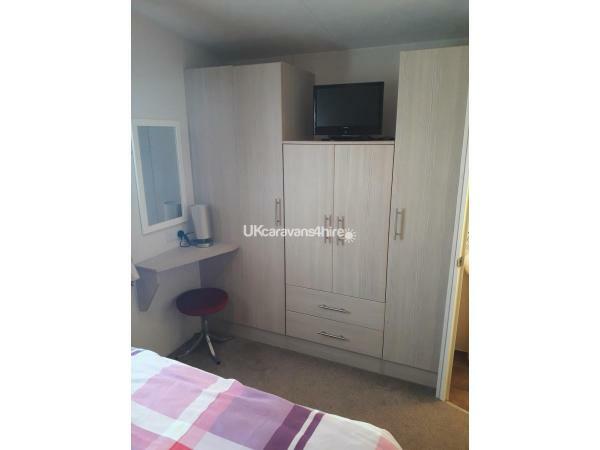 Spotlessly clean throughout infact and also very homely with some nice touches. The site it's self was also very clean, well kept and quiet, even in the school holidays. We recommend signing up for the segways. Only £3 and great fun. There is a swimming pool on site also. 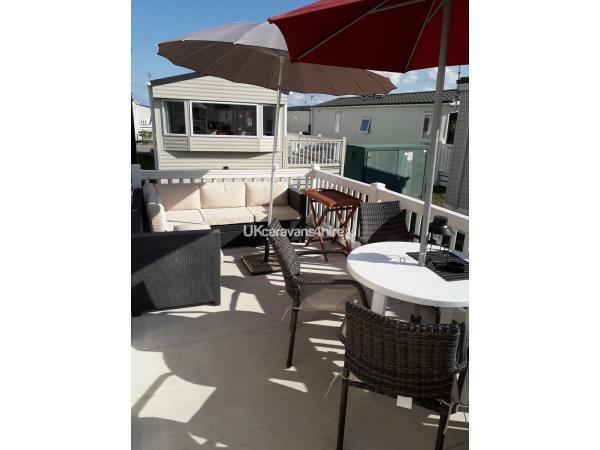 The site is located in a nice area, next to the beach and is great to explore with enough to do for the family, but also ideal if you are looking for a peaceful break. To sum up definitely one of the best caravans we have stayed in on a very nice site. What a great weekend we had in a home from home caravan. Everything was spotless, comfortable and we were made to feel very welcome when we arrived. The communication when booking was excellent and nothing was too much trouble for Tony and Jo. Tony even jump started my car when it didn't start on the day we left, what service! Thanks for a great weekend, we will definitely be back. A beautifully presented caravan with everything you could possibly need. Plenty of space for myself and two children (one who has disabilities and struggles with small spaces). The enquiry and booking process was exemplary, quick and well informed and the personal service which commenced with a meeting upon our arrival was fantastic. This continued throughout the holiday with advisory emails about the weather and a fire safety check. Couldn't have asked for anything more, excellent accommodation, beautiful site and fantastically helpful owners. We will definitely be returning next summer. Thank you Jo and Tony. We had a great time the caravan was perfect for the six of us. The sight facilities and location are really good as well. Tony and Jo were very accommodating, due to family commitments we had to change our dates which they did without hesitation. Definitely recommend the caravan.